As the demands on healthcare continue to grow so, too, must the products used in these environments. Whether building a LEED Certified facility or simply renovating a few rooms, Mondo Rubber will provide the attributes most needed. No wax needed – ever! Great sound absorption, ease of ambulation, lowest life cycle costs, high degree of stain resistance, suitable for operating rooms and throughout the building – this is just some of what you’ll get with your investment in Mondo Rubber. "We wanted the Scot Center to be impressive in appearance and innovative in design for our entire campus community now and going forward. 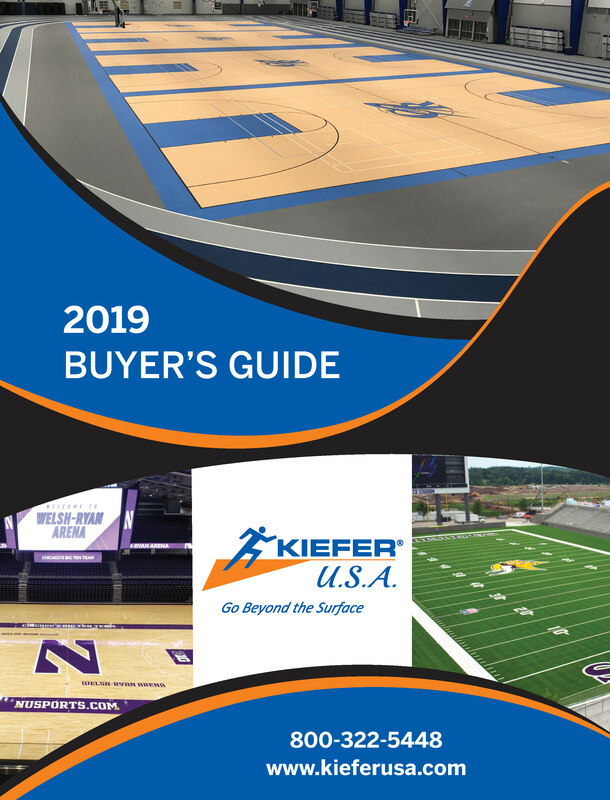 We have found the quality of Kiefer’s products and craftsmanship unmatched in the sports industry." "I commend Kiefer USA for their professional work ethic and quality installation. Regardless of the number of hours worked per day, their attention to detail, observation of our site rules, willingness to share information and provide explanations of the steps throughout the entire project were consistent. The students and the community at-large will enjoy the benefits of their outstanding efforts for decades to come!"